Well - first and foremost, I'm a prostitute. No, not on street corners (not yet anyway). I sell my soul a little bit each day to the advertising industry. It's not glamorous but it pays the bills and lets me write in my free time. When not involved in the oldest profession on earth or writing my dark stories, I can usually be found playing with my kids, reading, and lamenting my ever-increasing waistline. Well, most people are shocked when I share that I write each morning from 3-6am. It all started after the birth of my second child. Her 2:30 a.m. feedings provided me the perfect opportunity to try my hand at writing a novel - which I did. Just eight short months after that first writing session I had completed my debut thriller Asylum Lake. I entered the Young Author Contests in grade school and fell in love with the writing process. Of course, it took 30 years of thinking about it to really convince myself I should give it a real try. I was working for the public mental health department here in Michigan and would from time to time visit state psychiatric institutions. The Kalamazoo State Hospital is located on the Asylum Lake Preserve and the name just stuck with me. My mind just spun at the possibilities of what dark memories must lie dormant beneath the surface of that murky lake. I cringe as I answer this - horror? Even I don't know what I write. 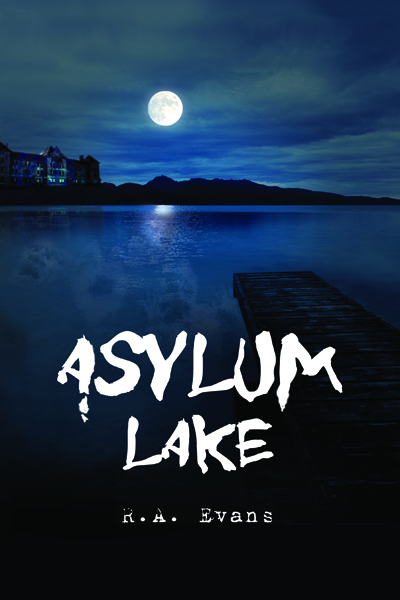 Asylum Lake is a horror, thriller, suspense, mystery novel with romantic undertones. Honestly, I write about the darkness that rests within each of us. And sometimes zombies, too. I wish I could write like Peter Straub. His novel Shadowland was a huge inspiration for me. There are so many layers to his characters and storylines. I'm both inspired and completely jealous by his writing. I'm the youngest of six so my siblings are both ultra-supportive and still committed to making sure that I don't get too full of myself. All kidding aside, my family has been great. My ten-year-old son has basically been a walking billboard with his Asylum Lake t-shirt. 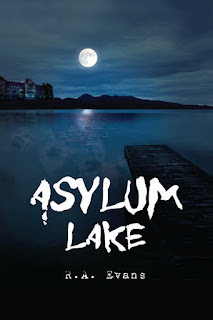 Funny story - in the original draft of Asylum Lake an integral part of the story involved manufacturing methamphetamine. I did a ton of online research. One afternoon I found the county sheriff's department on my doorstep. Apparently law enforcement runs some of those drug-related websites to monitor what people are doing. I showed up on their lists. I explained my book, let them walk through my house, and even gave them an early draft of the novel. About three weeks later I received a phone call and they "suggested" certain edits to the sections related to how to "cook" meth. In the end, most of the drug-related content was edited out. Just goes to show how important research is when writing a novel. My current project - FLIGHT - involves a U.S. Air Marshal and an overseas flight with a very dangerous cargo. I'm convinced that because of my research on the Air Marshal Program and airplane crashes that I am surely on a no-fly list. Everything. I am constantly asking "What if...". Just the other day I found myself wondering "What if machines rules the world..." and then debating whether I could survive a battle to the death my with toaster. Memories are like water. Some float on the surface bright and clear. Some lie deeper, blurred by time and distance. Others rest far from the light in the depths of the darkness. These memories are best forgotten. After the sudden death of his wife, Brady Tanner moves to the small Michigan town where he spent summers as a youth. 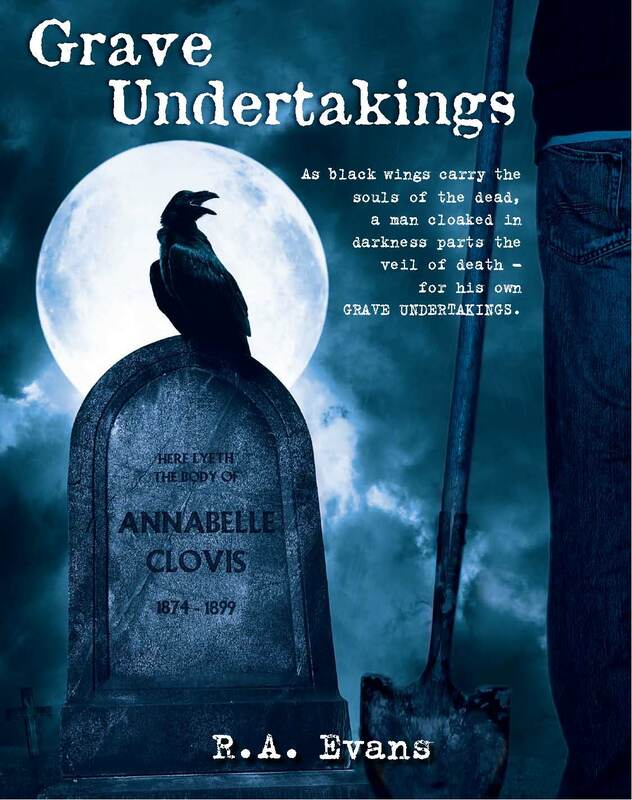 But he soon learns that small towns can be stained by memories...and secrets too. As Brady is drawn into unearthing the secrets of the town and of the abandoned psychiatric hospital on the shores of Asylum Lake, he discovers a new love in an old friend. But there is an evil presence lurking beneath the waters of the lake. What is the source of this evil--and what does it want with Brady Tanner? There are now so many options now to publish that there really is no excuse not to write, write, write. 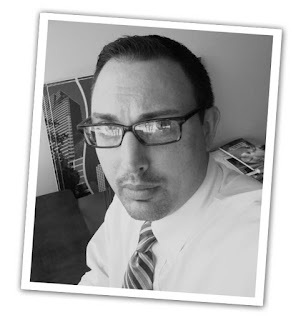 Just be prepared that building your author platform will quickly take up much of your time. Writing the book will seem like the easy part of the process.